This performing arts center was opened in 1928 and is a throwback to an era of glitz and glamour. 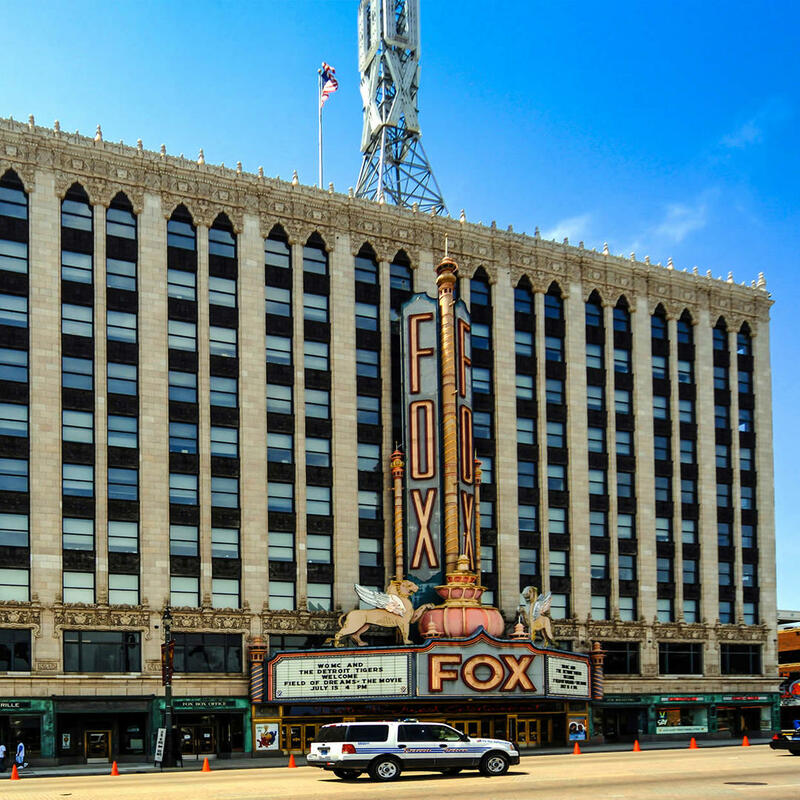 Film pioneer William Fox built five magnificent theaters in different states and Detroit, MI is one of the lucky five. The theater is heavy in oriental accents drawing from Burmese, Chinese, Indian, and Persian inspirations. The first Johnny Rockets restaurant in Michigan opened in the Fox Theater but closed soon after. The stage area is grandly adorned with ornate columns, walls and ceilings decorated with animals and faces, and intricate cartouches.